BENGALURU:When he was driving to his college in Faridabad, Leo Mavely saw a person who was hit by a bus. With the help of a few passers-by, he took the victim to the hospital in an auto rickshaw. On the way, Leo felt helpless when he could not stop this person from bleeding. “Thankfully, the hospital was nearby. But that was when I decided to create a technology that stops this kind of uncontrollable haemorrhage,” says the 32-year-old. Leo started working at Nirma Labs, Ahmedabad and created a programme in managing tech ventures. In 2008, he started Axio Biosolutions Private Limited in a startup incubator in Nirma Labs. In 2015, the startup has setup base in Bengaluru, while the manufacturing is done out of Ahmedabad. Currently the company has 90 employees. 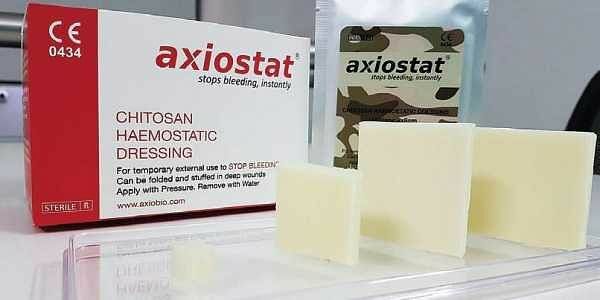 Axiostat stops uncontrolled bleeding within a few minutes of its application. Created using chitosan found in shellfish, this sponge-like dressing can be removed with saline water after the wound has healed. “We aim at creating advanced solutions in the wound-care market that gives affordable healthcare to everyone. Our first client was the Border Security Forces (BSF) of Chhattisgarh in 2013. We work in the field of defence in more than ten countries. Our product is used by the Indian Armed Forces in case of battlefield injuries,” he says, “We also provide this product to hospitals in their emergency trauma and cardiology wards,” says the bioengineering graduate from MDU, Rohtak. Axio Biosolutions has acquired US’s FDA approval, thus making it the first Indian woundcare product to acquire clearance. The product has been crated in accordance to the US and European standards. “When someone thinks of Indian products, it’s seen as affordable but not of a good quality. We want to make an Indian product that is qualitatively superior as well,” he says. Started up with an initial investment from family savings, the company later found support from Ratan Tata, Accel and IDG ventures.